It is designed to relieve severe tension in the muscle and the connective tissue or fascia. 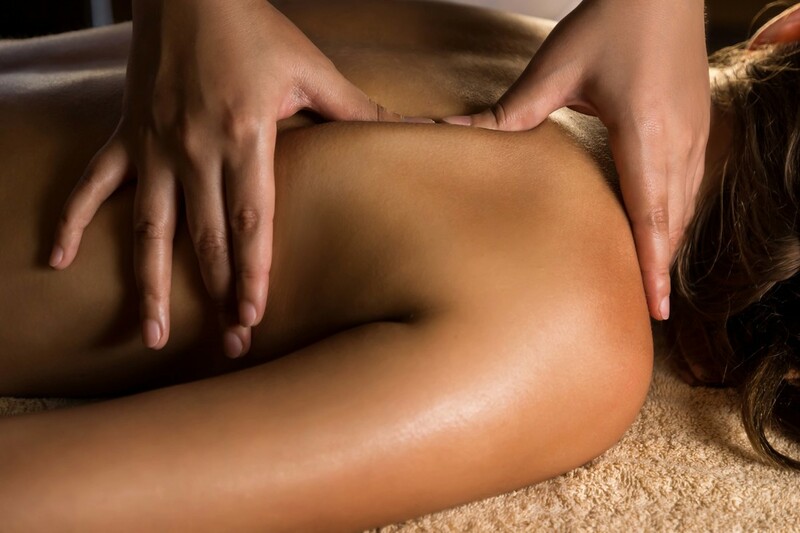 This type of massage focuses on the muscles located below the surface of the top muscles. Deep tissue massage is often recommended for individuals who experience consistent pain, are involved in heavy physical activity (such as athletes), and patients who have sustained physical injury. It is not uncommon for receivers of deep tissue massage to have their pain replaced with a new muscle ache for a day or two. The term "deep tissue” is often misused to identify a massage that is performed with sustained deep pressure. Deep tissue massage is a separate category of massage therapy, used to treat particular muscular-skeletal disorders and complaints and employs a dedicated set of techniques and strokes to achieve a measure of relief. It should not be confused with “deep pressure” massage, which is one that is performed with sustained strong, occasionally intense pressure throughout an entire full-body session, and that is not performed to address a specific complaint. Deep tissue massage is applied to both the superficial and deep layers of muscles, fascia, and other structures. The sessions are often quite intense as a result of the deliberate, focused work. When a client asks for a massage and uses the term “deep tissue”, more often than not he or she is seeking to receive a full-body session with sustained deep pressure throughout. If a practitioner employs deep tissue techniques on the entire body in one session, it would be next to impossible to perform; it might lead to injury or localized muscle and nerve trauma, thereby rendering the session counterproductive. An interesting side benefit of Deep Tissue Massage: A study in the Journal of Alternative and Complementary Medicine found that people's blood pressure fell after a single 45 to 60 minute deep tissue massage. Additionally, a 2010 meta-analysis in the Journal of Clinical Psychiatry found that massage modalities like deep tissue reduce stress hormone levels and heart rate while boosting mood and relaxation by triggering the release of oxytocin and serotonin. Authors Note: Deep tissue massage can be used as an emotional release tool, which applied correctly can facilitate the release of deep emotional trauma. Occasionally, the trauma is so deeply repressed that the client was previously unaware of its existence.